If you are fighting a foreclosure, then in your Requests for Production you should ask to see the Original Note, “Please produce the Original Note.” This is important because when banks and mortgage lenders were in their heyday of fraud they didn’t keep track of the actual notes and mortgages. 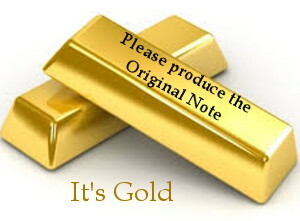 The Note, original with original signatures, is a “negotiable instrument” i.e. money, and is essential to the foreclosure. The plaintiff must produce the Original Note or show evidence that it was lost while in the plaintiff’s possession. 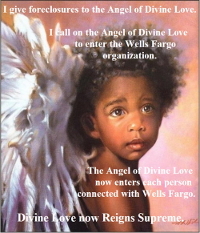 Because Wells Fargo’s fraud in its foreclosure action against my home has seriously affected my health, due to the stress, I wish I’d used more vitamin B12 and much more frequently. Just saying. Pursuant to NMRA 1-026 – General provisions governing discovery and 1-034 – Production of documents and things and entry upon land for inspection and other purposes – you are hereby required to produce and permit the party making the request, or someone acting on the requestor’s behalf, to inspect and copy any designated documents (including writings, drawings, graphs, charts, photographs, phono records and other data compilations from which information can be obtained, translated, if necessary, by the respondent through detection devices into reasonable usable form), or to inspect and copy, test or sample any tangible things which constitute or contain matters within the scope of Rule 1-026 NMRA and which are in the possession, custody or control of the party upon whom the request is served. The party upon whom the request is served shall serve a written response within thirty (30) days after the service of the request, except that a defendant may serve a response within forty-five (45) days after service of the summons and complaint upon that defendant. The court may allow a shorter or longer time. The response shall state, with respect to each item or category, that inspection and related activities will be permitted as requested, unless the request is objected to, in which event the reasons for objection shall be stated. If objection is made to part of an item or category, the part shall be specified. The party submitting the request may move for an order under Rule 1-037 NMRA with respect to any objection to or other failure to respond to the request or any part thereof, or any failure to permit inspection as requested. 1. Documents: The word “documents” where it appears herein means written, printed, typed, recorded or graphic matter of every type and description, however and by whomever prepared, produced, reproduced, disseminated, or made, in any form, which is or was in Defendant’s actual or constructive possession, custody or control, as defined in paragraph 2, below, including, but not limited to, all writings, letters, minutes, emails, correspondence, telegrams, bulletins, charts, diagrams, literature, brochures, work assignments, reports, evaluations, memoranda, notations of telephone or personal conversations, conferences or meetings, contracts, agreements, notebooks, interoffice communications, notes, diaries, drafts, worksheets, data sheets, data compilations, EDP printouts, microfilm, microfiche, circulars, pamphlets, studies, test results, notices, summaries, books, invoices, graphs, blueprints, specifications, engineering drawings, labels, photographs, phonograph records, tapes, sound recordings, films, slides, video tapes, speeches, computer files or disks, and any other writing or data storage method from which information can be obtained or translated through detection devices into reasonably usable form, or any other tangible thing. The term “document” shall also mean each copy which is not identical to the original or to any other identified copy. 2. Identify: The word “identify” where it appears herein means, with respect to the documents referred to that are in your possession, custody or control, that you are to supply an answer with the following type of information: type of document (e.g. letter, legal instrument, report, memorandum, etc.) Title, date, author’s name, and addressee’s name, if any. With respect to any documents which you know to have existed at one time, but which no longer exist, identify the type of document, date, author’s name, addressee’s name, last location, and circumstances of loss or destruction. With respect to a person, as defined below, the word “identify” means that you are to supply an answer with the following information: full name, last-known address and telephone number, occupation and title, if any. 3. Person: The word “person’ where it appears herein means all natural persons or entities, including, without limiting the generality of the foreclosing, an individual, firm, corporation, company, association, partnership, business, public agency, trust, department, bureau, board organization, or any other form of public, private of legal entity. 4. Plaintiff, You, Your, Yours: The words “Plaintiff”, “you”, “your”, or “yours” shall mean Wells Fargo Bank NA, or any of its predecessors, successors, or affiliated business entities and likewise shall mean any other individuals or entities or persons who have acted as agent of or under the direction of Wells Fargo Bank NA. For information you withhold because of a claim of privilege, state the general nature of the information and set forth the nature of the privilege claimed, and as to each communication as to which privilege is claimed, state the date of the communication, the persons present, the positions of the persons present, the general substance of the communications, and the reason the privilege is claimed. If you maintain that any document referred to or relied upon in your answers to these interrogatories has been lost, misplaced or destroyed, set forth the content of said document or description of said document, the location of any copies of said document, the date of such loss or destruction, and if the document was destroyed, the name of the person who ordered or authorized its destruction. 1. 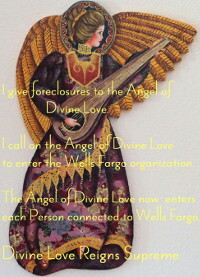 Attorneys in the foreclosure of my home at 3255 Calle de Molina, Santa Fe, New Mexico, 87507 have written in reply to my response to their Motion for Summary Judgment that all issues were fairly and completely litigated in the foreclosure action filed on my home in 2004: No. D-101-CV-200400390, but I was not given an opportunity to appear at any hearing, therefore please produce some evidence that in fact I was afforded due process and was present at a hearing prior to the foreclosure of my home at 3255 Calle de Molina, Santa Fe, New Mexico 87507 at the hearing held on February 8, 2005, and filed the next day on February 9, 2005.
b. please produce the certified mail receipt that shows the notice was actually mailed. Please produce the notice which the attorneys and/or your representative has said was sent by the post office showing that the certified mail was waiting for me to pick up, but I had not picked it up. d. If this, or any, foreclosure action has caused insurance to be paid on the debt, please produce the records showing who insured the debt, how much insurance was paid, and what terms apply if the foreclosure was not followed by an auction sale. 5. 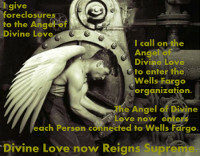 Please produce your copy of the 10/3/05 complaint I wrote to the New Mexico Regulating and Licensing Department, Financial Institutions Division, complaining that the attorney for Wells Fargo was refusing to give me a payoff figure for my loan and that in fact she began yelling at me when I was connected to her on the phone. 6. 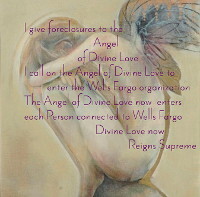 Please produce the guidelines you supply your attorneys who deal with your foreclosures to ensure that their quality of interaction with your clients is in line with the standard of quality you expect from others who are in the pay of Wells Fargo. 7. Please produce the letter I sent you on 9/1/05 in which I told you that I wanted to pay off my loan on 3255 Calle de Molina on 9/22/05, and I included an email from the title company that was closing the sale of my rental in which the title company agent, Attarah Gutierrez, said, “Yes,” she could pay off my loan on my home.